Looking for Bulgarian voice over artists for your next project? You've come to the right place! Here at Voice Crafters we have hand-picked, vetted, native voice over artists! Our narrators have the versatility and voice acting ability to work on any project - whether it's a TV commercial, an explainer video, an audiobook or any other application. Let us help you run your project smoothly from A to Z! Have a listen to the talents below and if you need any help, please don't hesitate to contact us today! I wanted to thank you for the wonderful service Voice Crafters provide. The process is efficient, courteous and always pleasant. The response is fast, and most importantly – the quality is excellent. I enjoy using your service and highly recommend it! Voice Crafters produce high quality voice overs in multiple languages for ad campaigns we lead on a regular basis here at 888 Poker. The turnaround time is great and the service is second to none! Professional voice talent and voice over producer with more than 15 year experience in vast areas. The Bulgarian language is spoken by over 9 million people across the world, though you’ll hear it most prominently in Southeastern Europe. This Indo-European language is spoken widely throughout Bulgaria, Macedonia, Turkey, and Kosovo. Albania, Serbia, Romania, the Ukraine, Greece, and Moldova also use the Bulgarian language readily. The Bulgarian dialect stems from Slavic roots, and is very similar to the Macedonian language. Bulgarian was declared an official language within the European Union in 2007, after Bulgaria was formally admitted to said Union. Bulgarian is divided between two dialects that are region-specific within the country of Bulgaria. These two dialects are very much alike, with only a vowel pronunciation separating them. In Eastern Bulgaria, the linguistics are considered soft, while in Western Bulgaria the language has a more hard or forceful pronunciation. 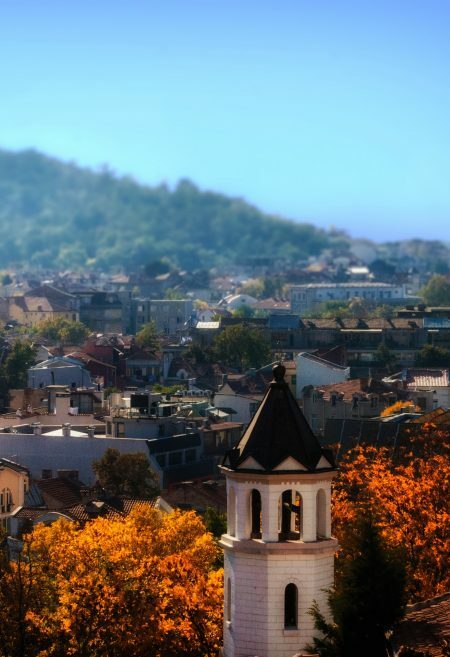 Voice Crafters offers a variety of narration specialists who are fluent in Bulgarian. The narrator you choose can work with either the Eastern or Western dialect versions, ensuring that your narration meets the linguistic needs of your target audience. Contact us today for a free quote about your Bulgarian language voice recording needs.